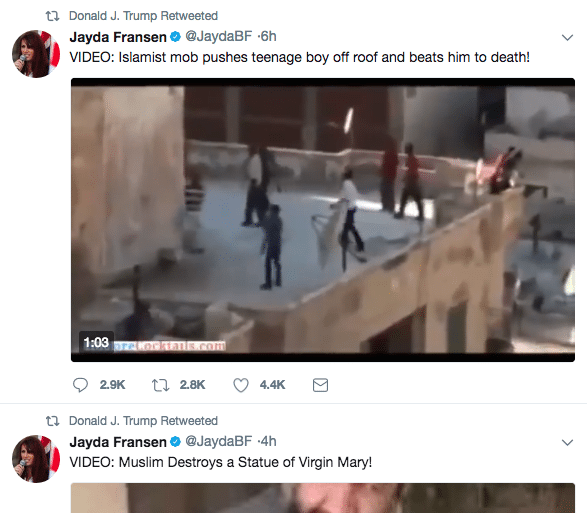 Donald Trump seems to be doing nothing to distance himself from extreme far-right groups in the US, and today appears to be supporting a UK far-right group by retweeting three unverified anti-Muslim videos posted by far-right group Britain First. The unverified clips, which have been shared with his 43 million followers show, what is described as, ‘Muslim destroying a statue of the Virgin Mary’. Another video was described as ‘Muslim migrants beating up a Dutch boy on crutches’. A third video was described as ‘Islamist mob pushing teenage boy off roof and beats him to death!’. 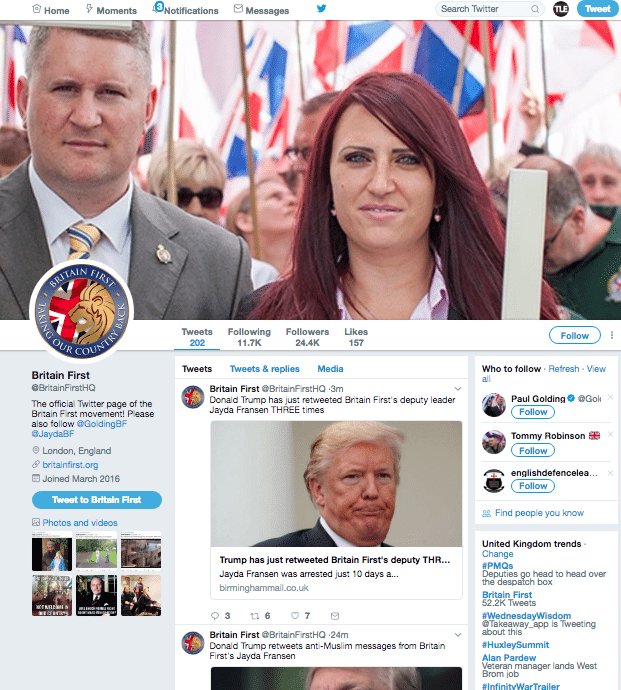 Britain First is a far-right political organisation formed in 2011 and is largely ignored by the UK political landscape for its extreme views. Britain First is notorious for posting false, highly biased, or completely made-up stories on its strongly followed Facebook group. Its posts are regularly shared thousands or millions of times over by the groups followers, no matter how inaccurate or unverified. Many of the stories, memes and videos are extremely Islamaphobic. Many posts use foreign footage or images, taken out of context, and spun into a viral hate-posts. One such example includes Britain First posting a ‘video of Muslims in London rejoicing at the Paris attacks’ which was in fact a Pakistani cricket celebration from 2009. Posts like this are shared in their millions despite being completely untrue. 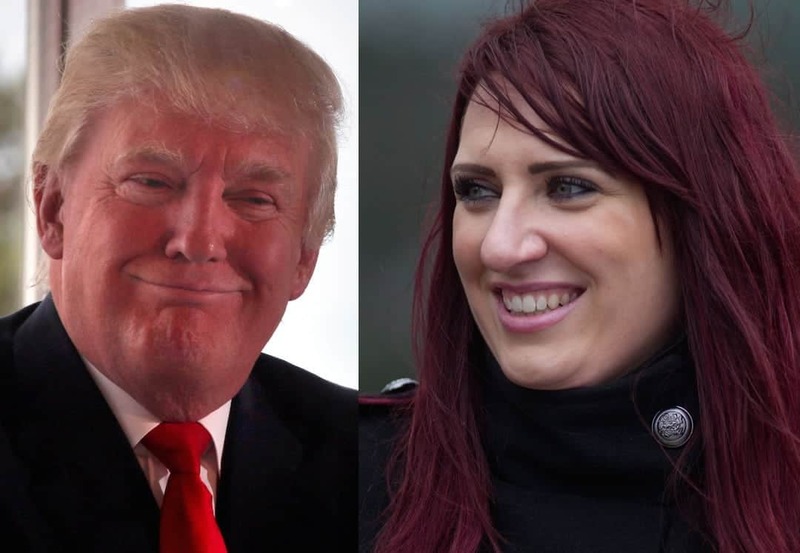 The far-right group are delighted at the nod by the leader of the free world. However many are horrified by the tweets. MP Jo Cox’s widower Brendan Cox said Mr Trump ‘should be ashamed of himself’ for retweeting the Britain First videos.